Joaquin Travel: Ready, Set, Go! Registration is now open for the American Express Small Business Saturday! Ready, Set, Go! Registration is now open for the American Express Small Business Saturday! Hello friends! 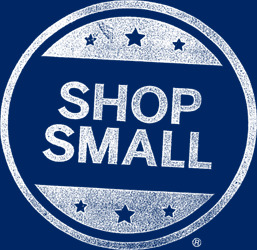 Today, November 24th, the registration for the American Express Small Business Saturday starts. So if you are planning to shop/dine/use your registered and eligible American Express card at a small business on November 30, Saturday, I encourage you to participate and help support small businesses across the country! By using your registered American Express card at eligible small businesses, and spending a minimum of $10, you will receive $10 back as a credit. (*American Express Shop Small Rules apply). Registration is limited, so hurry! *Program Rules apply. *Register Here.